On July 10, 2017, Renault is celebrating the one millionth vehicle built by the Tangier plant. Marking the event, Jean-Philippe Hermine talked about the "zero CO2 emission" and "zero industrial effluents" strategy put in place by the Group at this site. A geological engineer by training, Jean-Philippe Hermine began his career conducting geotechnical research projects on glaciers in the Arctic and Antarctic, and on industrial pollution of the soil and groundwater, as part of drilling works for the Channel Tunnel, in particular. He joined Renault in 1996 to oversee the environmental audits supporting the Group's international deployment. He then joined the Group's Environmental Planning department, to coordinate Renault's recycling policy and build innovative partnerships in material recovery. In 2011, Jean-Philippe Hermine became VP, Strategic Environmental Planning with Renault, tasked with establishing and implementing environmental policy with respect to the Group's vehicles and also its activities. He is also CEO of Renault Environnement, a holding company managing Renault's involvement in the circular economy. 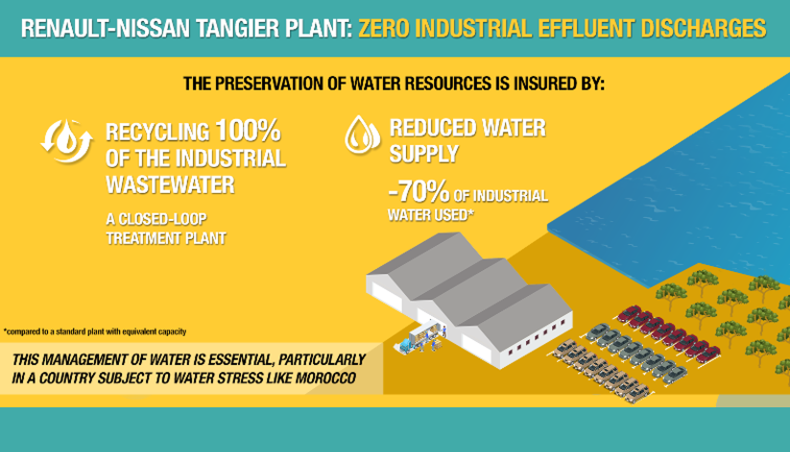 How does the "zero CO2 emissions and zero industrial effluent discharges" policy at the Tangier site tie in with the strategy of Groupe Renault? 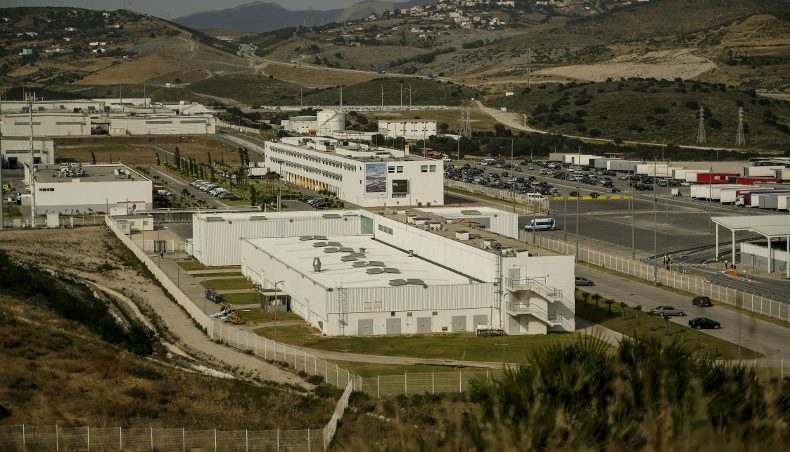 The Tangier site is a spearhead of the environmental strategy of Renault, aimed notably at shrinking its carbon footprint. We have made the reduction of the group's carbon footprint a lead indicator in each of our strategic plans since 2010. Renault was the first carmaker to set such an objective, both quantitative and publicly disclosed! Shrinking the carbon footprint of our business activities is also virtuous from an economic standpoint. It is related to controlling our energy consumption, and the corresponding costs, as well as to using renewable energies, which makes us less dependent on fossil fuel prices. Our policy on water management is much the same. Preserving water resources is essential, not just to reduce the impacts on ecosystems but also to ensure the long-term future of our supplies. Why was the Tangier site chosen to set an example on the reduction of environmental impacts? The choice of the geographical site in itself called for us to pay particular care to the water circuit, as Morocco is subject to water stress. In terms of energy management, Morocco has a major advantage: the growing development of electricity production using renewable energy sources. For nearly ten years now the country has led an ambitious program to strengthen and diversify its power grid. Does the Tangier site lay the foundations for a more environmentally-respectful Renault production base? At Tangier, we started with a greenfield site. Renault decided, right from the design studies phase, to make the plant innovative and efficient in environmental terms. It is easier to introduce disruptive processes at a greenfield site than at an optimized existing production site. 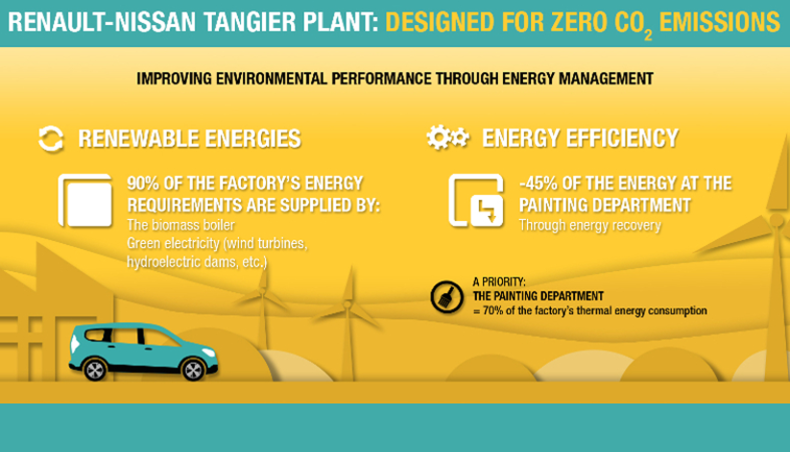 The Tangier plant stands apart by being designed both as "zero CO2" and "zero effluents". But all new Renault-Nissan Alliance plants adopt innovative technologies. 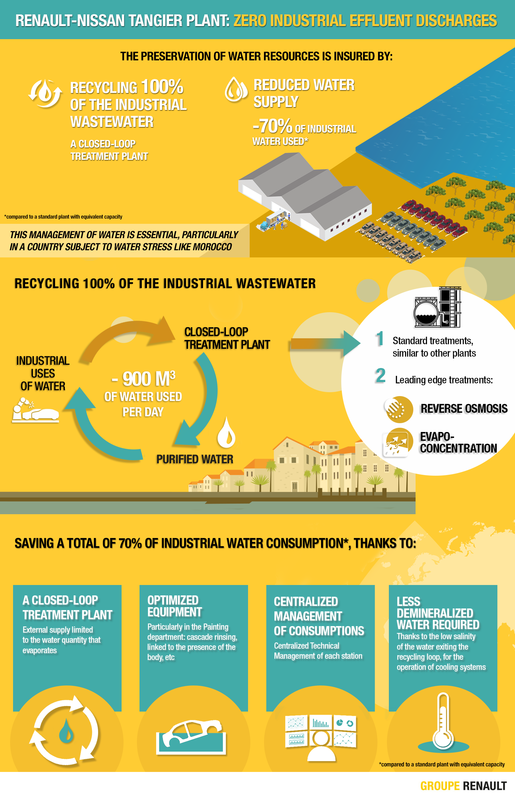 To give you just two examples of recent plants: in India, the Chennai plant created in 2010 uses the most advanced technologies to recycle all its industrial effluents, again in a country subject to water stress; in China, the plant opened in 2016 by Renault and its partner Dongfeng in Wuhan also benefits from the latest technologies in energy efficiency. And all existing Renault plants lead a policy of continuous improvement. The thermal exchanger and wheel systems that have demonstrated their efficiency at Tangier are among the technologies recommended by Renault when designing or replacing equipment. Inversely, the Centralized Technical Management system in place in Tangier that coordinates all consumption items in real time is based on the best practices observed at other group plants.